April News and Events: Piano and pie, free donuts, and more! 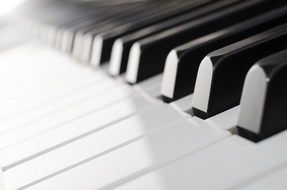 Friday, April 5, 1 p.m. to 2 p.m.
Join us for an hour of classical music as pianist Cary Adams plays a program that includes Debussy, Chopin, Liszt, and Scarlatti. Dr. Adams has had a dental practice in Skokie and Chicago for nearly 30 years. This is his third appearance at the Levy Center. After the concert, enjoy pie and light refreshments. Register at the front desk. 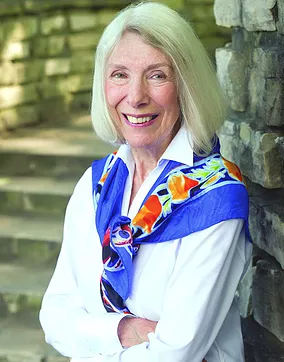 Tuesday, April 9, 1 p.m.
For this Levy Lecture Series, guest speaker Annette Baldwin will serve as a historian, lecturer, actress, and pioneer in developing historical portrayals as she depicts the journey of Jane Addams. In 1889, Jane Addams, with Ellen Gates Starr, founded Chicago’s Hull House settlement to tackle the social and economic inequities permeating an overcrowded Chicago West Side neighborhood. In this portrayal of Jane Addams, we’ll meet one of America’s most respected and admired women as she shares the story of her personal struggle to find purpose. Learn about the inspiration behind Hull House and how Addams, and the extraordinary women who joined her, fought for progressive reforms in Chicago. The Levy Lecture Series is sponsored by the Levy Senior Center Foundation. Tuesday, April 16, 10 a.m. to 3:45 p.m.
We all have enjoyed the music of Neil Diamond. 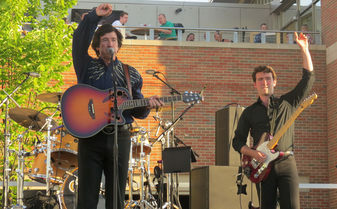 What better way to celebrate Neil Diamond’s music than with the best tribute band in the Chicagoland area! Join us for this trip to the classic restaurant White Fence Farm in Romeoville. Lunch will include the White Fence Farm four-piece dinner with potatoes, cottage cheese, kidney bean salad, beets, the famous corn fritters and dessert. Trip fee includes admission and lunch. Sign up early; space is limited. The Dennis Newton scholarship is available for this trip. Wednesday, April 17, 3 p.m. to 3:30 p.m. 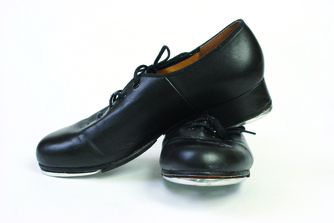 The Levy Senior Center is looking to begin a tap dance class in fall 2019. Come join dance instructor Billie Jean Darling for an informational meeting and demonstration about tap dance! There is no charge, but please register at the Levy Center front desk or by calling 847-448-8250. Thursday, April 18, 10:15 a.m. to 11:15 a.m.
Join Levy Senior Center staff members Amy Kellogg, Bob Russo, Audrey Thompson and Tim Carter for a round table discussion! Staff will bring topics and update you on the latest happenings at the Levy Center. There will be an opportunity to ask questions as well as give your input on programs and services offered at the Levy Senior Center. 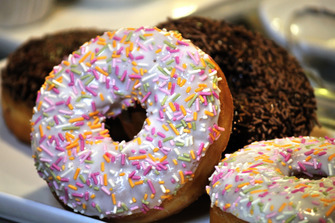 Donuts and coffee will be served. No fee; registration is required. Please call 847-448-8250 to register. Monday, April 29, 10:30 a.m. to 2:30 p.m. The Levy Senior Center will be taking a trip to visit the Illinois Holocaust & Educational Museum in Skokie. We will have a guided tour of the Karkomi Holocaust Exhibition. 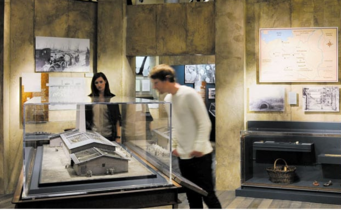 Trip goers will experience pre-war European life, ghettos and concentration camps, liberation, and resettlement around the world through more than 500 artifacts, documents, photographs and a German rail car of the type used in Nazi deportations. Afterwards, we'll enjoy a boxed lunch that includes specialty roll sandwiches, pickle, fruit cup and cookie dessert. After lunch, we'll visit the Abe & Ida Cooper Survivor Stories Experience holographic theater, and will have free time. Fee includes ticket, lunch and transportation. The Dennis Newton scholarship is available for this trip. 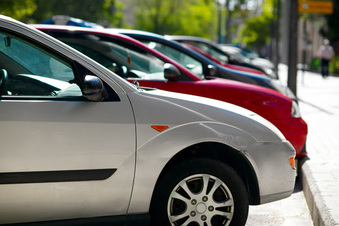 Wednesday, May 1, 10 a.m. to 2 p.m.
CarFit is an educational program that offers older adults the opportunity to check how well their personal vehicles "fit" them. The CarFit program also provides information and materials on community-specific resources that could enhance their safety as drivers, and/or increase their mobility in the community. Why is CarFit important? Older drivers are often the safest drivers, in that they are more likely to wear their seat belts and less likely to speed or drink and drive. However, older drivers are more likely to be killed or seriously injured when a crash does occur due to the greater fragility of their aging bodies. Driver safety programs improve adult driver safety by addressing cognitive abilities and skills, however, older drivers can also improve their safety by ensuring their cars are properly adjusted for them. A proper fit in one's car can greatly increase not only the driver's safety but also the safety of others. All seniors 55+ are welcome to attend the event, which will be held at the James Park Parking Lot, 300 Dodge Ave. Bring your vehicle.